April is Fair Housing Month! 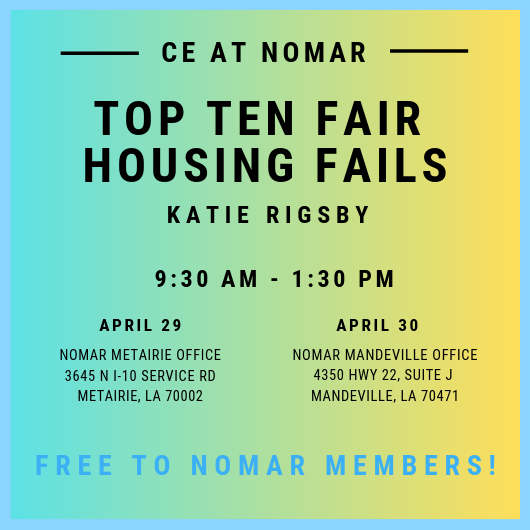 Join NOMAR in recognizing Fair Housing Month by attending Top Ten Fair Housing Fails with Katie Rigsby in Metairie or in Mandeville. 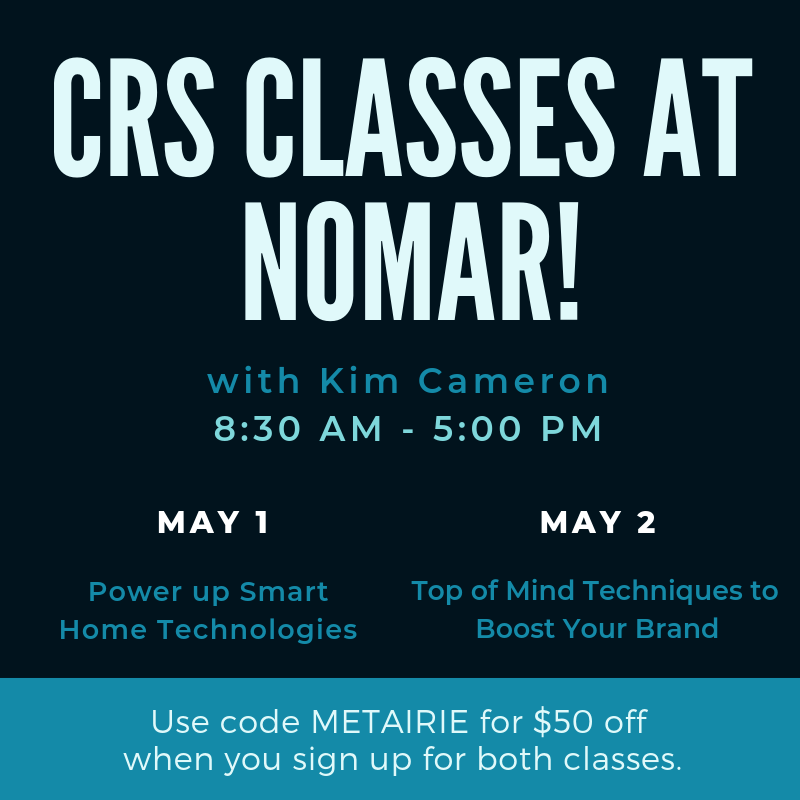 You are invited to attend Louisiana CRS Classes with the Residential Real Estate Council at the NOMAR Metairie Office! National Speaker and Trainer Kim Cameron will lead two CRS classes from 8:30 AM- 5:00 PM. Use Code METAIRIE to save $50 when you sign up for both classes. Breakfast and lunch included! Must sign up by April 26th to guarantee a printed manual. For any questions please contact Kim Kantrow, Financial Chair: 504-453-4507 or Carolyn Grimsley, President: 318-219-6258. 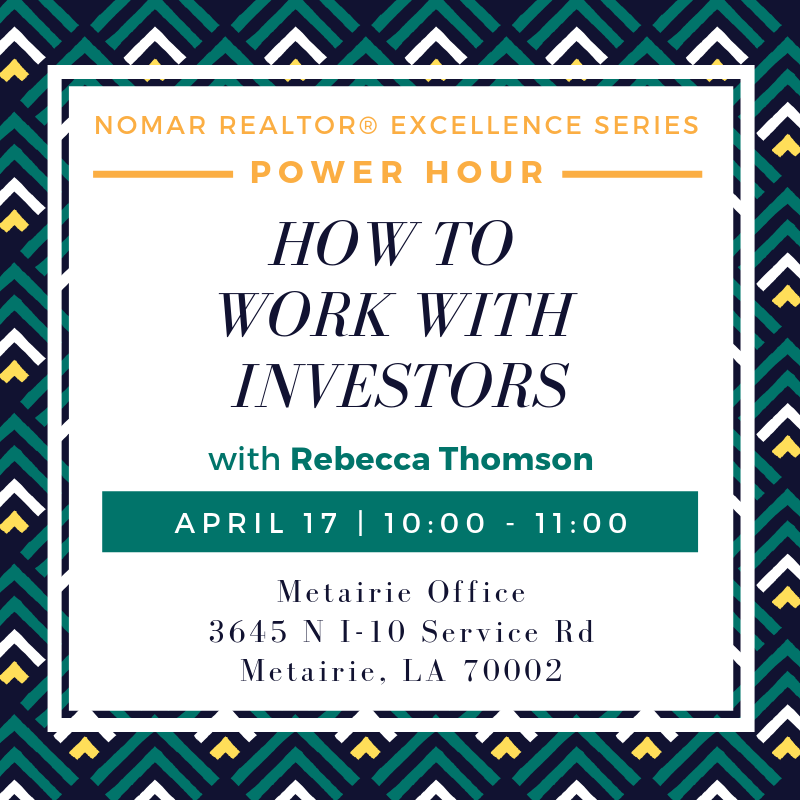 Join us for April's REALTOR® Excellence Series Power Hour, How to Work With Investors with Rebecca Thomas, happening at our Metairie Office, April 17, 10:00 AM - 11:00 AM! Click here to Register. 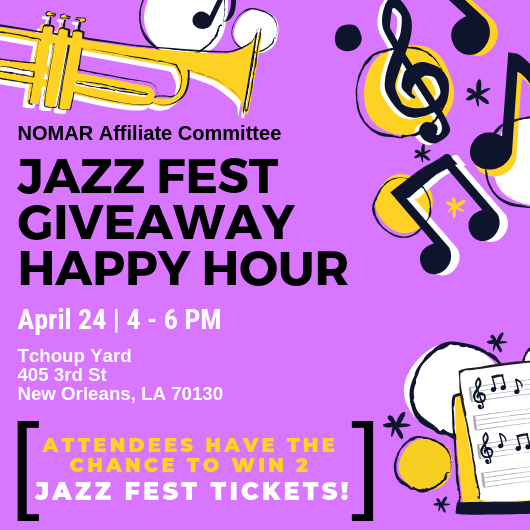 Join the NOMAR Affiliates Committee at The Tchoup Yard to kick off the New Orleans Jazz & Heritage Festival with a ticket giveaway!!! Happening April 24, 4:00 PM - 6:00 PM. This event is FREE! All attendees are automatically entered to win 2 one-day tickets to the second weekend of Jazz Fest (May 3, 4, or 5). Winners will be announced at the end of the event (Must be present to win).